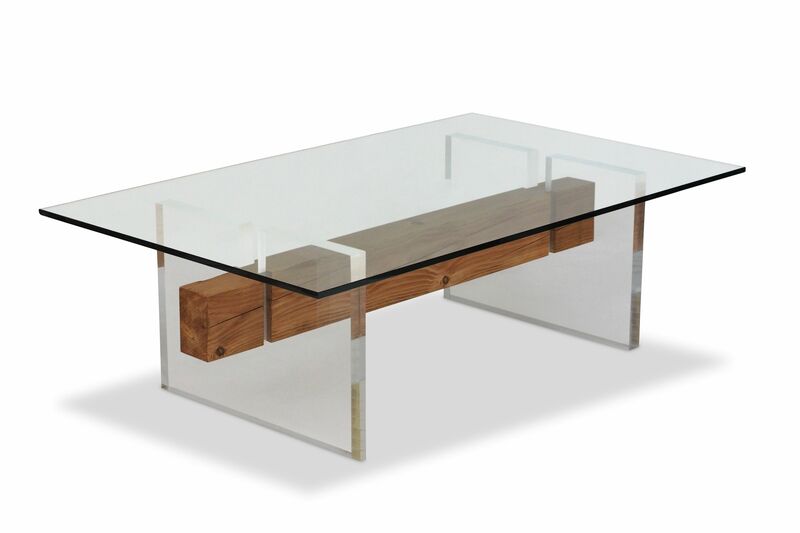 The mixed materials of this minimalist piece play off each other to dramatic effect. 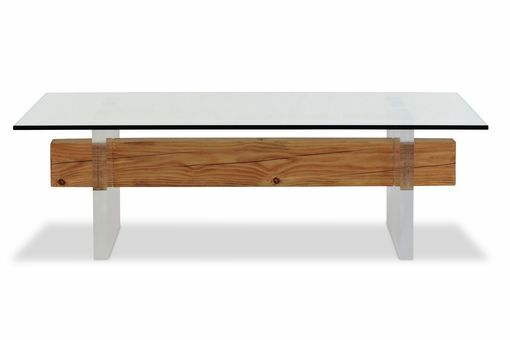 Clear lucite pedestals emphasize the slightly rustic pine beam. 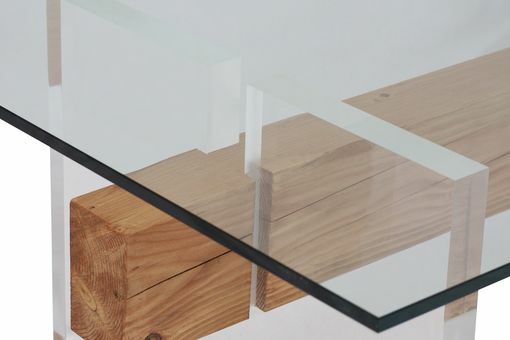 52" W, 16" H, 32" D. *Glass top is sent in separate shipment. Base ships assembled.